Reporters without Borders claims to promote freedom of the press and of information. The Committee to Protect Journalists says it speaks for endangered news media representatives. But refusal to distinguish between press and propagandist, especially when it comes to Israel, undermines their credibility. A French court reaffirmed that Israel's occupation of the West Bank is legal. But you probably heard nothing about it. 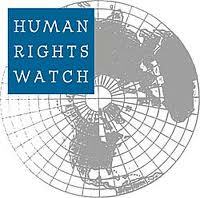 Journalists, academics and the public look to human rights groups for guidance in assigning responsibility for the violence and misery inflicted on civilians in the Israeli-Palestinian conflict. But objective information is not what they get. Everything about CNN's claim that soccer star Didier Drogba joined 61 other players to protest the killing of Gaza teens playing soccer is false. Drogba signed nothing, there were fewer than 62 signatories to the petition, and Israel didn't kill 4 people playing soccer. UPDATE: CNN has corrected. In a letter sent to Congress early last month, Christian leaders engaged in an obvious attempt to blacken Israel's name. Common Global Ministries, the overseas arm of two mainline Protestant churches in the U.S., tacitly admits its one-sided witness about human rights in the Middle East is motivated by fear of Islamist violence against Christians in the region. Mohammed Merah, the confessed Toulouse killer, said he wanted to avenge the deaths of Palestinian children. The drumbeat of false accusations that Israel murders Palestinian children is a modern day blood libel in which the media is complicit. J Street President Jeremy Ben-Ami used a Washington Post Op-Ed to recommend "redefining" what it means to be pro-Israel. He employed several strawmen arguments to make his case. CAMERA's rebuttal letter, featured under The Post's "Taking Exception" heading, spotlighted the evasions in Ben-Ami's claims. According to Sarah Schulman, Israel should not be recognized for protecting gay rights, and anyone doing so should be seen as a participant in a nefarious PR campaign.